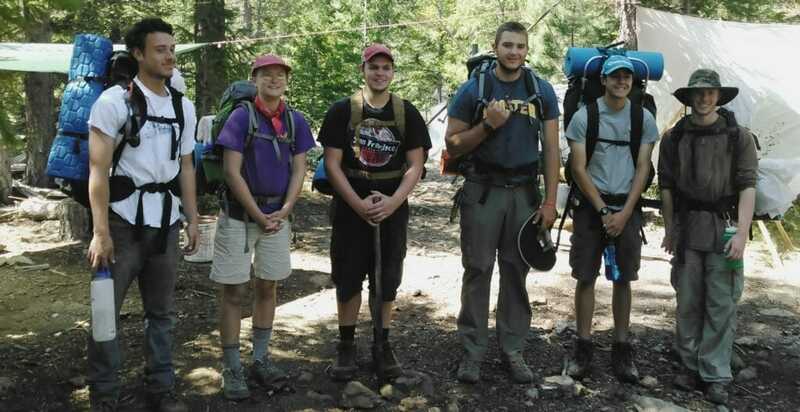 Eight – Day teen backpacking adventure for your son or daughter. This exciting wilderness adventure is open to boys and girls ages 16-17. Campers learn basic to advanced primitive survival skills. Wilderness navigation, leave no trace camping, and hiking the back country. CONTACT Mark for an application for your teen before registering for camp. Register by CHECK or PayPal. Northern California’s rugged mountain terrain provides authentic wilderness experience for your teenager. Your teen(s) will receive one-on-one personalized attention from Mark and his dedicated staff of student volunteers. There is something wonderful that happens for young people that spend time in the mountains. These young people grow into themselves right before our very eyes. With humor and grit teens step up and support each other and put their best foot forward. 8 – days wilderness adventure is a challenge no doubt about it. And though it is hard to get up in the morning and make your own breakfast, clean up, and pack up your camp up. There is great personal satisfaction in this simple accomplishment. Teens through this daily experience of self reliance realize how little stuff they need to be happy and have a great time. Your son or daughter is at the threshold of adulthood. The challenging and experiential training we provide will help instill, determination, courage, and strength of character. He or she will reap the rewards of the valuable instruction and unique skill set learned, in future endeavors. This course builds leaders! Our 16 years old son attended two weeks Lifesong Wilderness Adventures camp in July 2018. He had zero prior experience camping, which I take the blame for so I was hoping this would be a great start. I’d like to point out that my son didn’t ask for it and it came as a part of the ‘deal’ we made: if he goes to the camp he would be allowed to manage his ‘gaming time’ for the rest of the summer. I must say it was the best decision we made as a family lately! Our son came back very happy and ‘mature’, I could not believe how much good two weeks could do to a teenager! I learned more through Mark’s careful guidance and rich knowledge of the natural world than I have ever learned in any classroom, and I had much more fun doing it. 8-days of empowering and wilderness survival training for your teen! Request a teen application today. Requirements: medical practitioner’s release Contact us for an application form prior to purchasing camp. Location: 4 hours north of San Francisco Bay area, in the northern CA, near Mount Shasta. Transport: round trip shuttle service from Medford, Oregon airport, $110.00. Dunsmuir, CA train station, $75.00. Weed CA Greyhound bus station, Free. 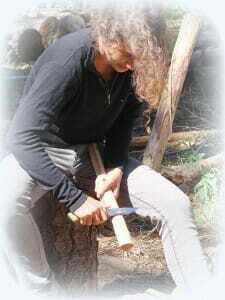 Teen Summer Wilderness Adventure CA – 16 to 17 is an authentic wilderness experience for your young daughter or son. CONTACT us today for an application.